From 7-9 may 2019 Easyfairs Evenementenhal is the meeting place for the inland shipping sector. During Maritime Industry, the whole nautical sector meets at the well of the water region for networking, creating a common ground for cooperation, and for keeping up with the latest industry trends. As exhibitor you get to meet a wide and full target audience, and simultaneously hear the latest in the sector. Maritime Industry is the number one platform connecting the entire maritime sector. 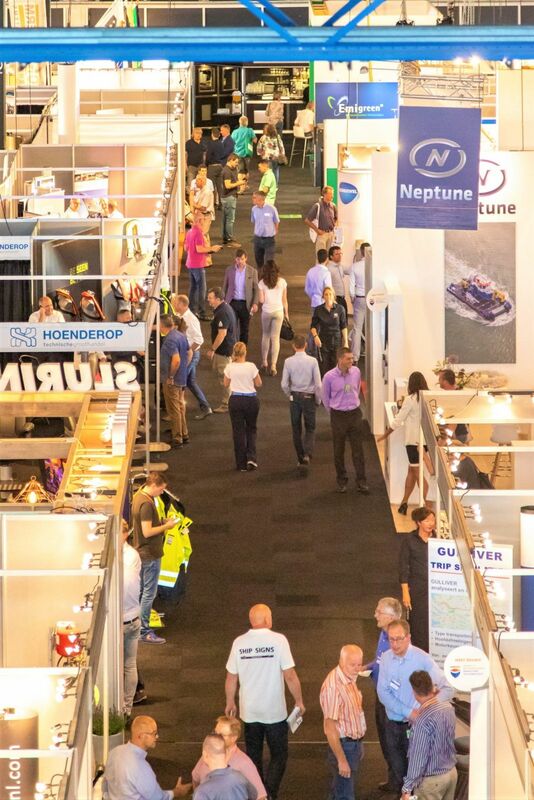 Easyfairs Evenementenhal Gorinchem is located in the very heart of the water region, making it the ideal location for maritime professionals to come together. This trade show is the most complete event for inland navigation, fishery and maritime navigation. Here, you will meet exhibitors and visitors from a wide range of sectors, such as ship (de)construction, repairs, engineering, installation technology, propulsion, electrical engineering, communication, navigation, vessel components, interior construction and services. Maritime Industry offers the ideal circumstances to strengthen and expand your network. 500 exhibitors and more than 10,000 visitors come together in Gorinchem during this convention! Popular activities such as an innovation route, a well-filled knowledge programme and an experience centre add an interesting dimension to the trade show. These developments will be continued and expanded in coming years! Trends and innovations within the sector play a central role during Maritime Industry, making the trade show an excellent moment to introduce new innovations to a large target audience. A growing number of exhibitors is aware of and interested in the Maritime Industry trade fair. This growth has given the platform an increasingly important role in the Netherlands and abroad. Many exhibitors are involved in the trade show to profit from the vast networking and business opportunities. Expand your network or lay the foundation for new partnerships and relations by taking part in Maritime Industry. We ensure that you benefit from plenty of exposure for your products and/or services before, during and after the convention by sharing your successes via our social media channels.